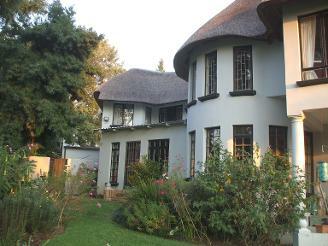 What to Consider when using Thatch for your Roof. Thatch roofs and thatched lapas are very popular in South Africa, however they are more prone to catching alight because of a lightning strike than any other type of roof. There were several reasons why - the first was that apparently there were no approved plans at Council - yes I know I should have checked! The Lapa is at the back of the property nearly 30m away from my studio, but it has not been treated with fire retardants, there is no lightning rod, lightning protection or surge protection for any lighting or electrical equipment inside. Thatch is particularly prone to catching on fire because it becomes 'fluffy' at the surface and if damp methane and other flammable gases can be formed. 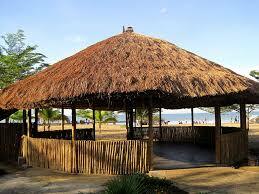 In addition when a Thatch roof is built, wire mesh is used to reinforce and secure the bundles of thatching reed. Should there be a lightning strike then the electrical current runs through the mesh and thermal effects (generated heat) may happen causing the roof to catch alight. 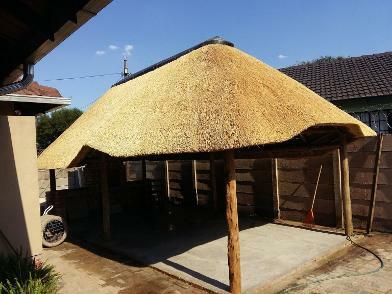 So what should you do if you have added on a thatch lapa or have a house with a thatch roof? The first steps are to get the plans drawn up by a registered Architect/Designer who will appoint a Fire Engineer to advise you on the steps you need to make to ensure your thatch roof is better protected from fire or a lightning strike. Your Fire Engineer will recommend that you spray the inside and outside of your thatch roof with a fire retardant. The fire retardant will need to be re-sprayed on the exterior of the roof every 5 years or so (please double check with the Fire Retardant Company you employ). Although your local Council and Fire Department may be happy to sign off the plans without the requirement for a lightning conductor/rod and surge protection most insurance companies do require it so it's best to double check with them as well. There are lighting conductance systems available that are much more unobtrusive than a 30m high pole! It's very important to remember that any 'As Built' structure on your property is not insured. If there is damage or a fire then you will not be covered and if the damage spreads to the main house or other buildings then your insurance company might not pay out! If you need help with any 'As Built' structures on your property (whether they are thatch or not) please let me know and I will assist you with getting planning permission. Contact Us - Thatch - What to think about.